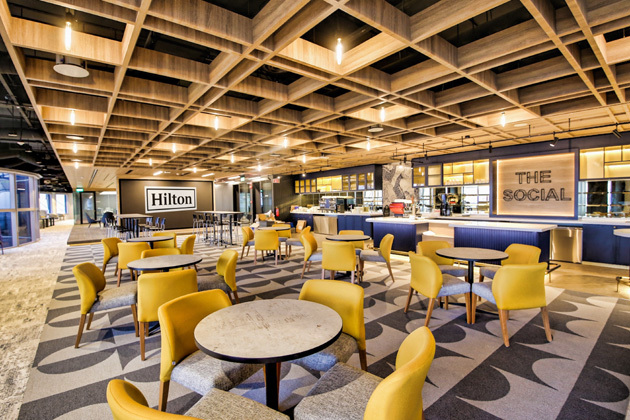 Hilton yesterday (31 January) announced its move to the new Asia Pacific headquarters in Singapore. 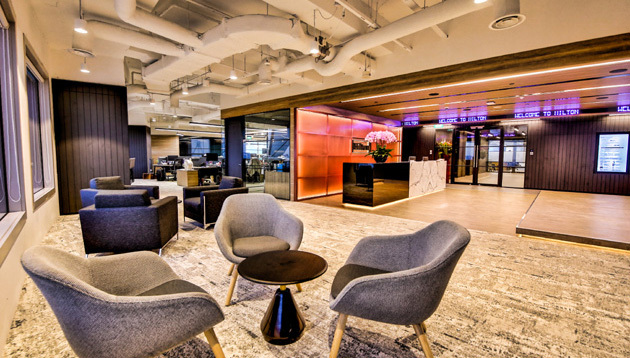 Spanning across across three floors of the prestigious Centennial Tower, in the heart of the Singapore’s central business district, the custom-designed office space houses the hospitality company’s growing corporate workforce who support its expansion in Asia Pacific. 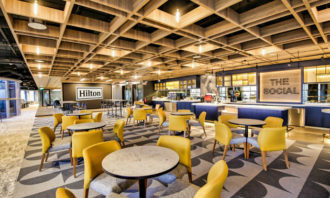 From the new headquarters, Hilton will manage its five sub regions of Asia Pacific, from India to Japan, China and Australasia. Centennial Tower is also home to its Southeast Asia office. Reflecting the aspirations of the hospitality brand, the office boasts a futuristic new façade, breath-taking ocean views, spacious communal areas and modern meeting facilities with the latest technology. 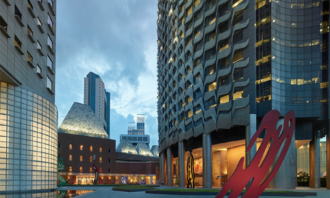 It sits adjacent to Millenia Walk and is part of the Millenia Singapore development with transport links and an abundance of shopping and food and beverage outlets close by. 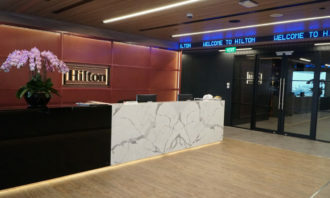 The Singapore office move complements similar moves in other corporate locations with a recent move being into a brand-new space in Delhi, now located at the premium Horizon Towers office complex opposite the DLF Golf Club. With an ethos to provide an environment along with the necessary infrastructure for all team members to thrive, relax as well as enhance their productivity during time spent in office; the India office has been conceptualised and created to enhance the social collaboration and interaction amongst team members and with guests. 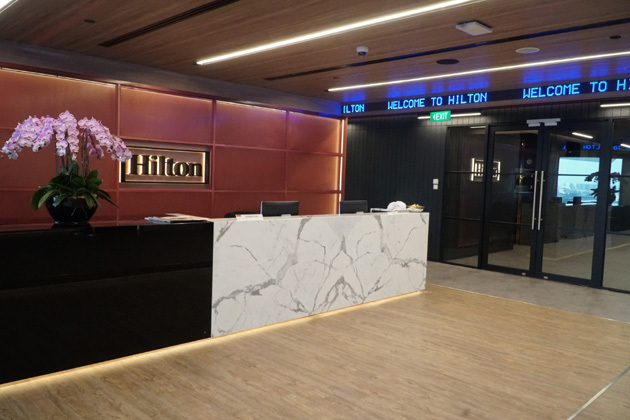 Hilton’s corporate offices in Shanghai and Japan have also undergone recent expansion. 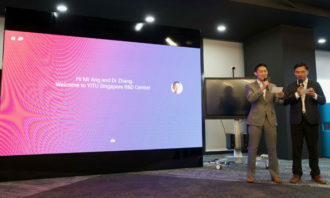 On the same day (31 January), YITU Technology (YITU) announced the launch of the YITU Singapore Research & Development (R&D) Centre, YITU’s first in Southeast Asia. 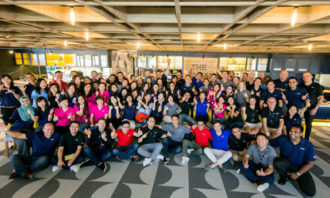 Located at Mapletree Business City, the YITU Singapore R&D Centre currently houses 30 staff, a diverse talent pool comprising AI algorithm researchers, system researchers, hardware experts, and experienced engineers. YITU plans to triple its R&D staff count over the next three years, bringing the team size to around 100 employees, specifically to drive R&D efforts. In a media release, YITU noted attracting top talent is among its top priorities for the new R&D centre as it seeks to build its talent capital. Plans include rolling out an AI hackathon open to local tertiary students to bring in the next generation of AI talent. 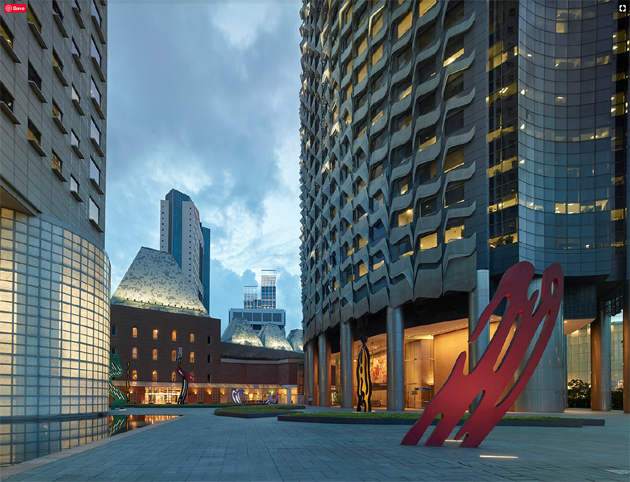 The YITU Singapore R&D Centre intends to work closely with industry partners, local universities and research institutes to carry out pioneering R&D and has started to explore collaboration opportunities with local partners. 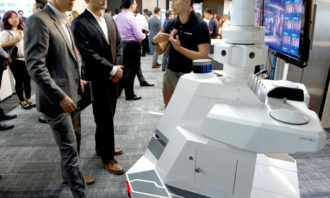 Initiatives include conducting trials with industry partners such as Keppel Land and working with Nanyang Polytechnic to boost industry-relevant AI education and research. 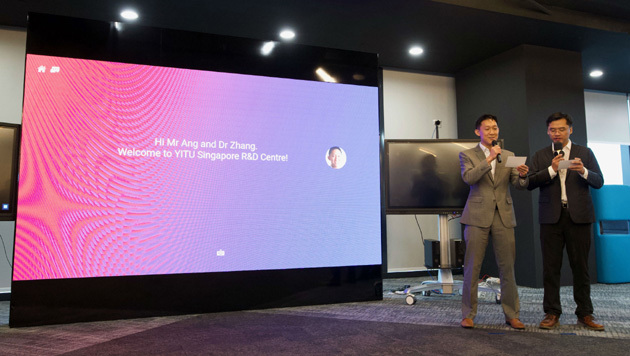 (L-R) Ang Chin Tah, Director, Infocomms and Media, Singapore Economic Development Board and Dr Zhang Zhenjie, R&D Director of YITU Singapore, at the official opening of YITU Technology’s first R&D Centre in Southeast Asia. 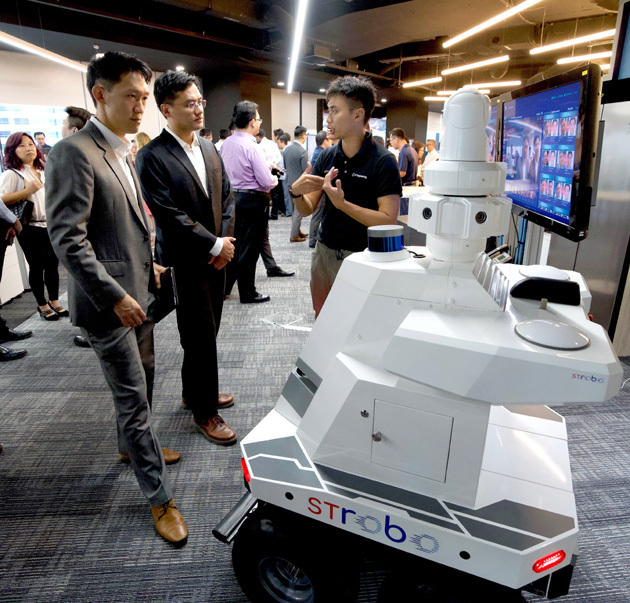 Ang Chin Tah, Director, Infocomms and Media, Singapore Economic Development Board and Dr Zhang Zhenjie, R&D Director of YITU Singapore watching ST Engineering’s Security Robot in action. The Security Robot is integrated with Artificial Intelligence technology from YITU. 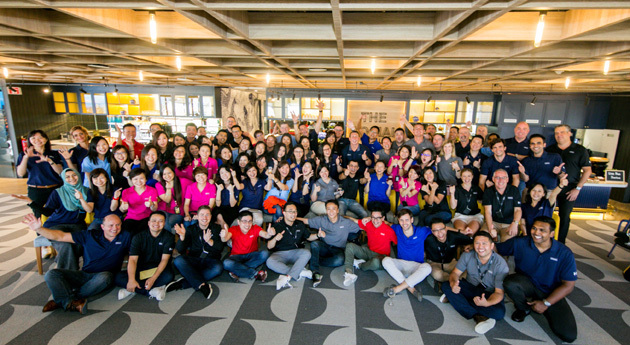 In a similar development, Lufthansa Innovation Hub (LIH), the digitalisation and innovation unit of the global aviation group Lufthansa Group, opened its first office outside of Germany in Singapore on Monday, 28 January. In a media release, LIH noted, the local team currently being set up in Singapore is building on close cooperation with the existing Asian-Pacific organisation of the Lufthansa Group on site to benefit in particular from their local market expertise and existing networks. This expansion is a strategic response to the rapidly increasing importance of the Asian technology sector for the future of travel and mobility. 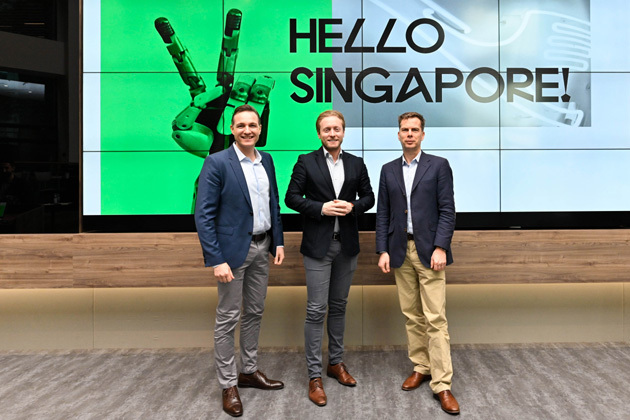 The focus of the LIH Singapore will initially be on an in-depth exploration of specific market developments in the context of the digitalisation of travel and mobility, as well as on establishing a network of relevant tech players and the first strategic partners on site. This is the first initiative of its kind by a Western airline on the Asian continent. An alliance with INSEAD has already been launched and further collaborations are currently explored with established players in the market. LIH plans to open an additional office in Shanghai, China, over the course of the year. Take a look at what happened this morning at our first ever Recruitment Interactive 2013 event. ..